Celebrating the 20th anniversary of the New York Times bestselling Green Rider series, this short volume introduces readers to new sides of Sacoridia in two new short stories and a novella. 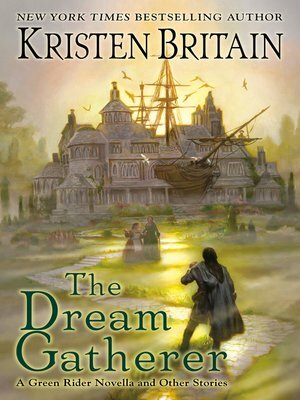 In The Dream Gatherer, Kristen Britain presents a novella and two short stories set in the universe of her best selling Green Rider series in celebration of the twentieth anniversary of the publication of her first novel, Green Rider. Dreams can be dangerous. A visit with the eccentric Berry sisters turns dangerous when an arcane device is discovered in their house that can summon dreamers through their dreams, and one of them is a nightmare. Finding peace during the Long War. Raised in an orphan camp, Green Rider Danalong has known only war and strife, until a shipwreck leaves him stranded on a mysterious island. A story of friendship within a story of friendship. In the sixth volume of the Green Rider series, Firebrand, a wounded Karigan G'ladheon asks her friend Estral to tell her a story to take her mind off her pain. This is that story. The book includes illustrations and backstory on the creation of Green Rider by the author, and a special introduction by award-winning science fiction and fantasy author, Julie E. Czerneda.